Youth Religious Education at St John meets twice per month on Sundays. We offer programs for all ages, 3 year olds through 12th grade. Programs meet following the 10am Mass from 11:30am-1pm with food provided. We take great care to protect the safety of our children. We place the highest level of protection of the innocent and vulnerable as a pillar of expectation in this parish and in our Church. We follow the USCCB and Archdiocesan standards given us through the Safe and Sacred Program and Circle of Grace. All employees of the church as well as all volunteers who have any interface with children are required to participate and complete Safe and Sacred as well as have a background check. You can learn more about these programs at the link below. 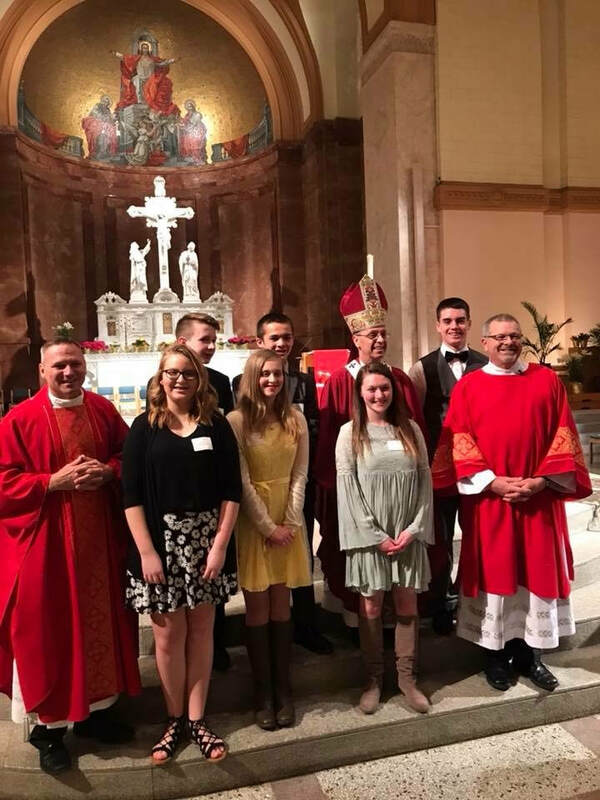 Father Nagel also addressed the abuse scandal within the church through a letter to the parish and a homily, see this links below as well. Catechesis of the Good Shepherd came about through the work of two Roman Catholic laywomen in Rome: Sofia Cavalletti and Gianna Gobbi. They were inspired by the educational principles of Maria Montessori, also a Catholic. 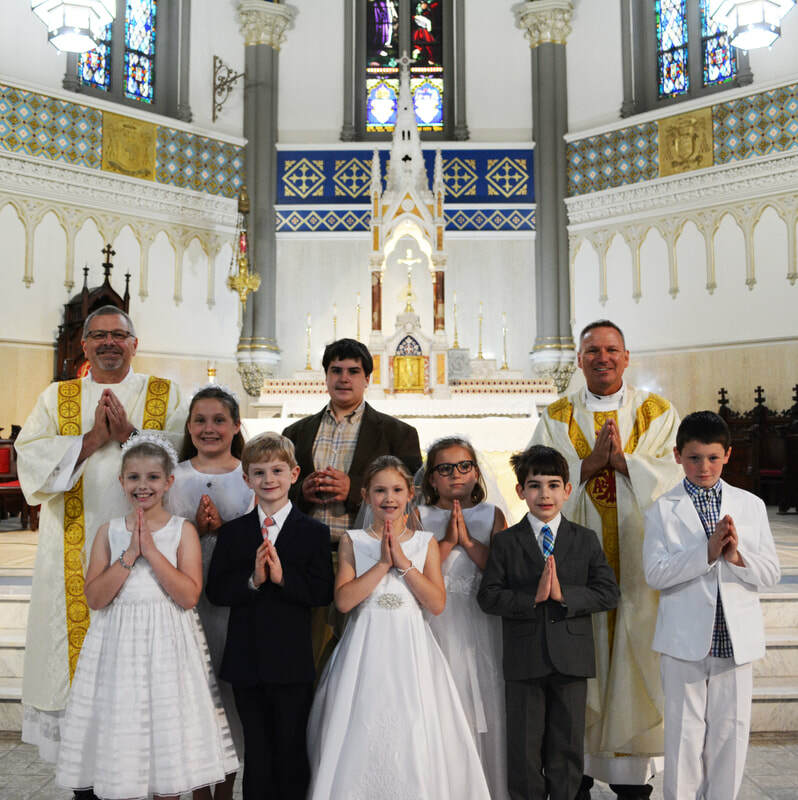 The materials they prepared for children, since 1954, were based on the Bible, the Roman Catholic liturgy and sacraments, Tradition, and Church teachings. CGS imparts a real understanding of the faith that is sure to impact your child in a profound way! RCL-Benziger is now able to offer a junior high curriculum of “Be my Disciples” to compliment the grade school sessions. Full faith formation for our young people involves social, spiritual, and catechetical development. Our high school youth group will offer a variety of opportunities for our youth to learn more fully and embrace more earnestly the faith that we are called to pass on to them. Working through Benedict XVI’s “YouCat”, our high school youth are able to discuss difficult matters of faith as well as learn the foundations of the Sacraments and the Church while preparing for Confirmation and entering into the fullness of the faith.